Like previous Volkswagen Jetta’s that have come before it, the 2019 Volkswagen Jetta 1.4T is a competent car that’s also fun to drive. However, the 2019 Volkswagen Jetta 1.4T is all new, updated to include a modern profile, improved cabin materials, increased interior space, and state-of-the-art technology features. The 2019 Volkswagen Jetta 1.4T comes in several available trims for you to choose from, including the affordable S and SE. The 2019 Volkswagen Jetta 1.4T S trim skips the “entry level” stereotype. Volkswagen has brought back a 6-speed manual transmission for 2019 in the Jetta 1.4T S. Handling is a breeze with the electromechanical power steering (with variable assistance); this car is going to get you where you need to go safely and quickly. The 1.4L TSI® of the S trim is a 16-valve, 4-cylinder turbocharged engine, complete with direct injection and intercooler. It features 147 horsepower and 184 pounds per foot of torque. Similar to the 2018 model, the 2019 Volkswagen Jetta 1.4T SE comes standard with an 8-speed automatic transmission with Tiptronic®. The SE trim features the same engine as the S trim, but with a Start-Stop System that may appeal to certain drivers. The 2019 Volkswagen Jetta 1.4T S comes standard with power-operated side mirrors for increased visibility. The available option of heated side mirrors helps during frosty mornings or snowy road conditions. The exterior includes automatic LED headlights (not standard on competing models like the Honda Civic) with LED Daytime Running Lights, as well as LED tail lights. The vehicle even include LED lighting over the license plate. The 2019 Volkswagen Jetta 1.4T S wouldn’t be complete without sleek 16” Rama alloy wheels that are ready to hit the road. The 2019 Volkswagen Jetta 1.4T SE features the same power-operated heated side mirrors as the S trim. The lighting elements are also the same, including automatic headlights. The main exterior difference between the two trims is the panoramic sunroof in the SE. Like the S, the SE includes 16” Rama alloy wheels, but in all black. As part of the ground up redesign, the 2019 Jetta ups the ante. The 2019 Volkswagen Jetta 1.4T S includes air-conditioning, a multi-function steering wheel, and an electric parking brake. The quality cloth interior offers breathability and durability, as well as comfortability with a 6-way adjustable driver’s seat. And the tech features are also adjustable for driver personalization. The Car-Net® App-Connect system ensure you’re connected without being distracted, and the Bluetooth® connectivity makes audio streaming a cable-free delight. The Composition Color touchscreen sound system with 6.5″ color display takes listening to a visual level. Likewise, the 2019 Volkswagen Jetta 1.4T SE includes air-conditioning (dual-zone climate control), a multi-function steering wheel (leather-wrapped), and an electric parking brake. The seating surfaces in the SE are heated V-Tex leatherette and, like the S trim, the driver’s seat is adjustable 6 ways. The tech features of the S trim are also standard in the SE. 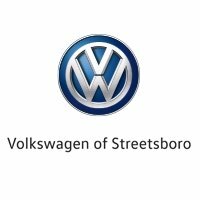 For more information about the all-new 2019 Volkswagen Jetta 1.4T S or the 2019 Volkswagen Jetta 1.4T SE, visit Volkswagen of Streetsboro.